Researchers reporting in the current issue of the Journal of health and Social Behavior looked at the effect on health of individuals leaving their religious group. They looked at a total of 30,523 cases collected between 1972 and 2006 in the General Social Survey. In this group, over 10,000 moved to another religious group and over 2,000 dropped out of religion completely. In the sample, there were 423 members in strict religious groups and 96 changed to another group and 54 left all religions. They found that 40% of those in the strict religious groups reported being in excellent health but only 25% of those who switched to another group reported being in excellent health. In addition, only 20% of those from the strict religious group who dropped out reported being in excellent health. For the strict religious group, the difference between the excellent health reported by those who switched and did not switch was statistically significant. They also found that people raised and remaining in strict religious groups more often reported being in better health than those affiliated with other religious groups. Those groups considered to be strict were religious groups with strict social, moral and physical guidelines for members such as the Church of Jesus Christ of Latter-day Saints and Jehovah’s Witnesses. Researchers believe the reasons for the declining health of those leaving strict religious groups may be that there are requirements to abstain from unhealthy behavior, such as alcohol and tobacco use, and both formal and informal structures to promote positive health and for social networking. The also think religious beliefs may offer hope and encouragement and thereby improve health. The researchers warn that leaving a strict religious group may not cause poor health because poor health could actually be a causal factor in leaving the religious group. More research is needed. Dr Koenig, M.D., MHSc is the second lead interview for this series (Dr Bernie Siegel was interviewed for the last show) . Dr Koenig completed his undergraduate education at Stanford University, his medical training at the University of California at San Francisco and his geriatric medicine, psychiatry, and biostatistics training at Duke University. He is board certified in general psychiatry, geriatric psychiatry and geriatric medicine, and is on the faculty at Duke University as Professor of Psychiatry and Behavioral Sciences, and Associate Professor of Medicine. He is also a registered nurse (R.N.). Dr Koenig is founder and former director of Duke University’s Center for the Study of Religion, Spirituality and Health, and is founding Co-Director of the Current Center for Spirituality, Theology and Health at Duke University Medical Center. He has published extensively in the fields of mental health. geriatrics, and religion, with close to 350 scientific peer-reviewed articles and book chapters and nearly 40 books in print or in preparation. 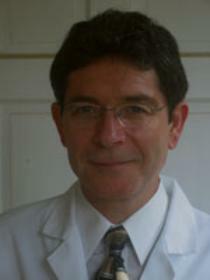 He is the former editor-in-chief of the International Journal of Psychiatry in Medicine and of Science and Theology News. His research on religion, health and ethical issues in medicine has been featured on over 50 national and international TV news programs (including the Today Show, ABC’s World News Tonight, and several times on Good Morning America), over 100 national or international radio programs (including multiple NPR and BBC interviews), and hundreds of national and international newspapers and magazines (including cover stories for Reader’s Digest, Parade Magazine, and Newsweek) Dr Koenig has given testimony before the U.S. Senate (September, 1998) and the U.S. House of Representatives (September 2008) concerning the effects of religious involvement on public health. He has been interviewed by James Dobson on Focus on the Family and by “Robert Schuller in the Crystal Cathedral on the Hour of Prayer. 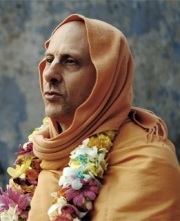 He has also been nominated twice for the Templeton Prize for Progress in Religion. Ms Mary McManus is a poet, fund raiser, former award winning social worker at the Department of Veterans Affairs, 2009 Boston Marathon Finisher, inspirational speaker, and an award winner in her “new life” discovered a whole new world was waiting to unfold before her after the life altering diagnosis of post polio syndrome in December 2006. Mary was diagnosed with paralytic polio at age 5 and overcome the childhood challenges of polio, an abusive alcoholic father and a drug addicted mother by immersing herself in her academic career. She was high school valedictorian and later received a BS in Communications from Boston University and a Masters of Social Work from Boston College where she was induced into the Jesuit Honor Society Alpha Sigma Nu. published in December, 2007 and Set Sail for a New World: Healing a Life Through the Gift of Poetry (2010) and donates 20% of the proceeds to Ms. Wheelchair Massachusetts Program. Her dream is to see a polio free world in her lifetime.